Students get accounting when using Kimmel Financial Accounting with WileyPLUS because we make learning accounting easy and accessible for today s different types of learners. 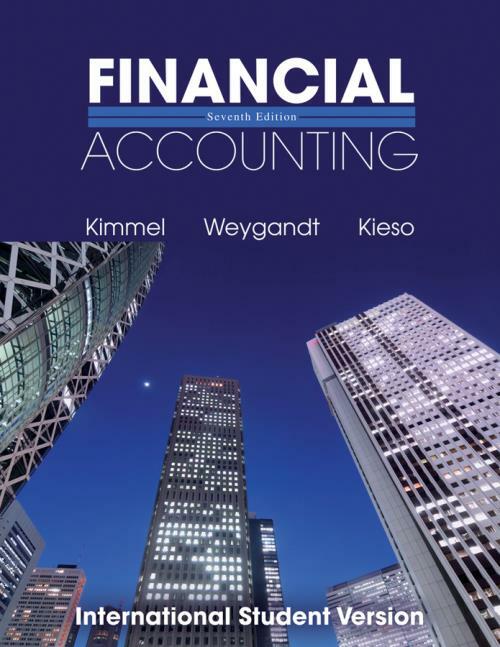 Written in a concise, clear, and conversation way, Kimmel Financial Accounting provides just the right amount of information students need to come to class prepared, while powerful visuals and Interactive Tutorials make complex accounting concepts possible to absorb quickly. Starting with the big picture of financial statements first, Paul Kimmel shows students why financial accounting is important to their everyday lives, business majors, and future careers. This best–selling financial accounting text is known for the most relevant and easy to understand examples, while teaching students the accounting cycle through the lens of one consistent story of Sierra Corp, an outdoor adventure company. The automatically graded WileyPLUS problem–solving experience imitates a blank sheet of paper with type–ahead for entering account titles, so that students use recall memory when they practice or do homework online. More students get accounting when using Kimmel Financial Accounting with WileyPLUS, because they can Read It, See It, Do It Get It. A Specimen Financial Statements: Tootsie Roll Industries, Inc.